The mens 5s who have something of a novelty most weeks in having about 25 players to choose from. Skipper President Poll has integrated most of the talented under 14 juniors from the Simon Sutton production line on Friday nights and already several of the boys look more than capable of a step up before not too long. The team can also boast 2 international players in their ranks, with Ian Phillips and David Margerison representing Wales and Scotland over 70s on a regular basis. Just don’t start asking them in the bar about the times they have played against each other. 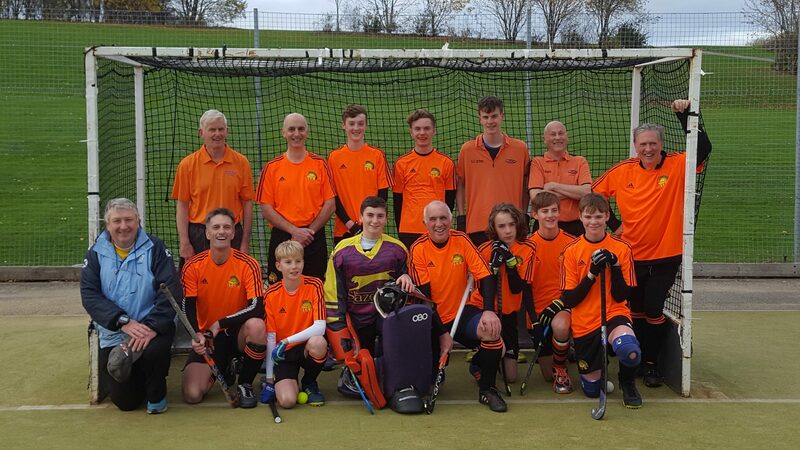 Whilst participation and fun are key to the 5th team success, they also go out to win and the team has benefitted from the return of several veterans who retired far too soon but are drawn back by the chance to play in the same team as their off-spring.